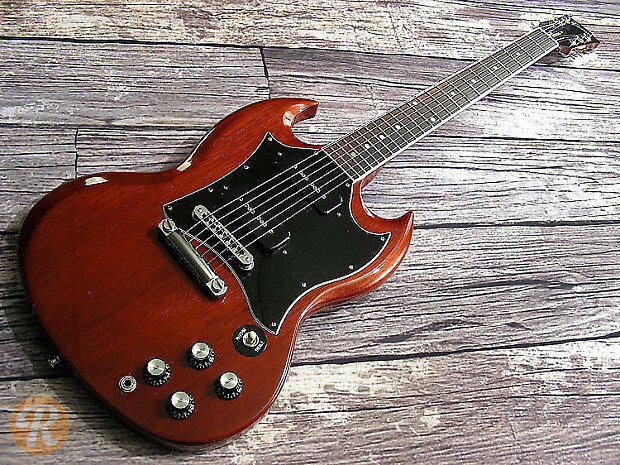 This SG is similar to a number of SG Special models. 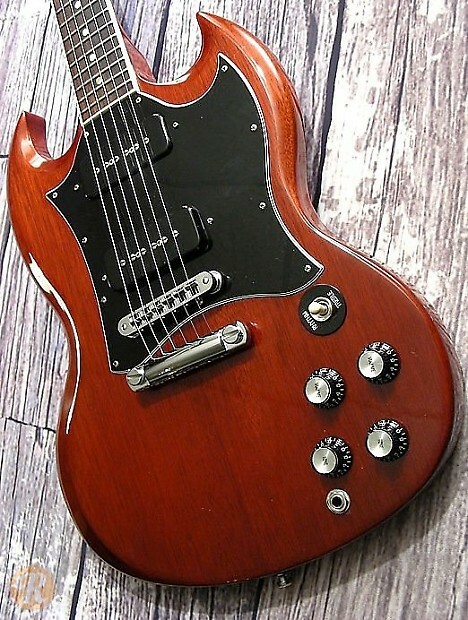 It features a bound rosewood fingerboard with pearloid dot inlay, as well as two P-90 pickups. Between about 2001 and 2007, this was a Musician's Friend exclusive model.